MALHEUR REFUGE, Ore. --- Oregon militia members that had been staging an armed occupation of the state's Malheur National Wildlife Refuge Area, are leaving. The reason given for the exodus was a long-scheduled Oregon Conference Pathfinder winter camp that was due to take place this weekend. "Our quarrel is with the federal government, not a bunch of little scouts that want to camp and grill s'mores," said militia spokesperson, Rancher Rambo. He said that his group began to reconsider their occupation after being contacted about the scheduling conflict by the Oregon Conference of Seventh-day Adventists. 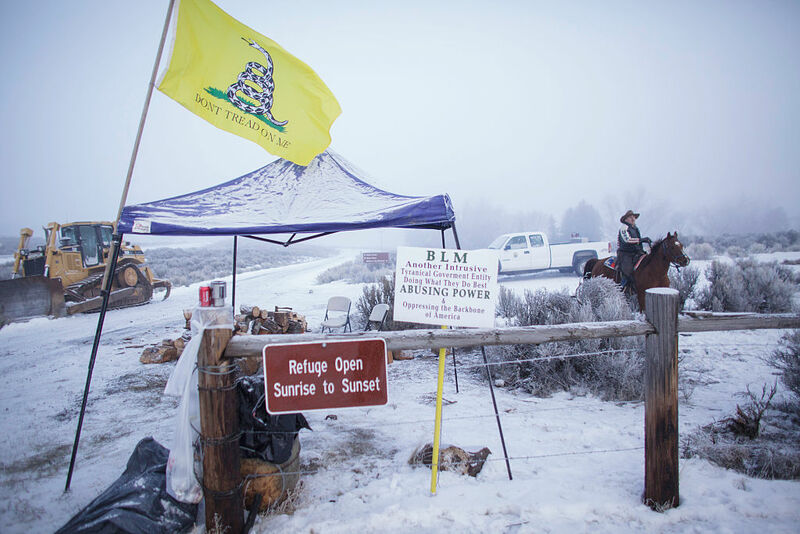 The militia group had originally occupied the refuge on Janaury 2 in protest of what they said were onerous federal land restrictions as well as the imprisonment of two local ranchers. Rambo said that the clincher in the group's decision to vacate the land was news that the Oregon Pathinders were "courageously attempting to get their knot-tying patches in hands-down the worst weather for finger dexterity." Man, that’s too soon. I’m going to assume that this was written up yesterday before the evenings incident at 4pm PST on US-395 where one militia individual died in a confrontation with law enforcement. I’m guessing that this was written up before the incident and scheduled to post this morning, Jan. 27, 2016 at 8:58 AM PST, since there was already something published yesterday about the Oscars — wanting to spread content out over several days and not just dump on one day. Just remind the Pathfinders to NOT let their campfires for toasting marshmallows burn over on to the Federal Lands or else they may join the local ranch family now in jail! ** on 2nd thought, pathfinders in jail could also be fresh fodder for another sintilating BA article!? It might be best to remove this post. Considering the events, it seems tacky. I imagine your post was in place before the shooting, but it isn’t coming off well. I suggest the Oregon Conference find another campsite far, far, far, far away from those “squatters”. Why not head up to Denali Park? Nobody to bother you there!! Woe iz me.